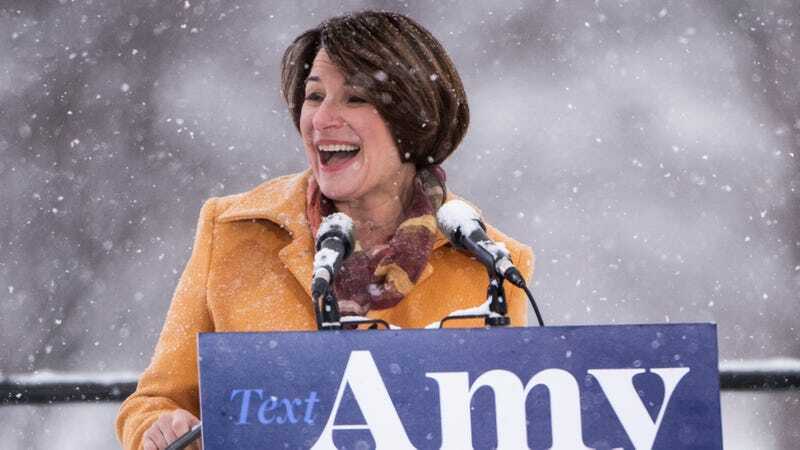 MINNEAPOLIS, MN—Vowing to relentlessly battle and never back down, Sen. Amy Klobuchar (D-MN) pledged this week in her campaign kickoff that she would never stop fighting everyday Americans. “I will stand up to the common man—with my fists,” said Klobuchar, asserting that she would take on all Americans—rich, poor, black, white, straight, or gay—in an all-out brawl until every last one was bleeding and unconscious. “As president, I promise the American people an open exchange of blows. I will not hold back in beating every citizen to a pulp. Just like I’ve fought tooth and nail against the people of Minnesota.” At press time, Klobuchar was spotted reaching out to undecided voters with a flurry of quick jabs and uppercuts.